The accommodation briefly compromises of; front living room, back dining room, kitchen and a family bathroom. 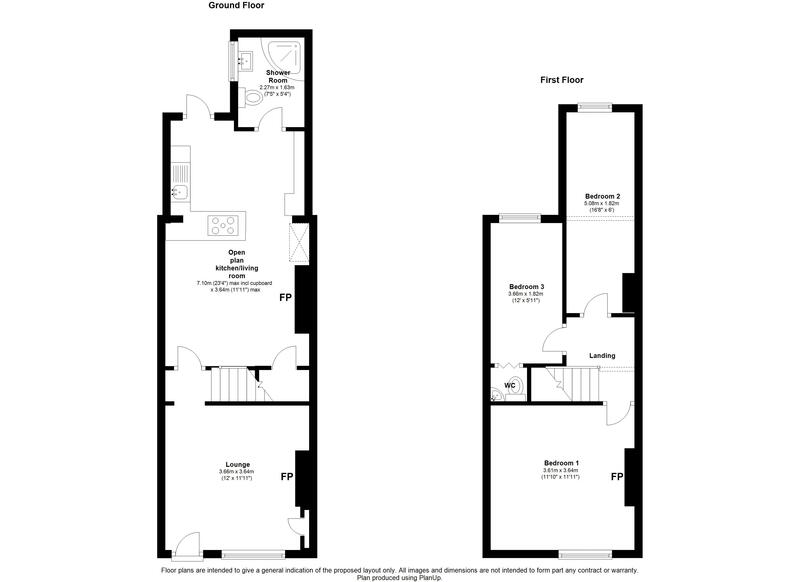 To the first floor are three bedrooms one with an en-suite W/C. The property can easily be converted back to 2 larger bedrooms or one of the bedrooms could be changed to another bathroom. Externally there is a back yard with gated access. The property also benefits from a recent full refurbishment, original sash windows, gas central heating and many original period features. PVC composite front door, carpet, radiator, original fireplace, tiled hearth, chimney breast, original sash window, meter cupboards and coving. Range of kitchen wall and base units, concrete effect laminate worktops, gas hob, electric oven, integrated wine fridge, washing machine and microwave, sink with mixer tap, stainless steel splashback, breakfast bar and laminate flooring. Split part glazed door to rear, Velux roof light, radiator, wood burning stove and under stairs storage. Chimney breast, original fireplace, original sash window, radiator and carpet flooring. Original sash window, carpet flooring and radiator. Radiator, en suite W/C, original sash window and carpet flooring. Velux rooflight, shower enclosure, wash hand basin, W/C, cupboard housing boiler, tiled floor, chrome towel rail, extractor fan, frosted window to the rear aspect.